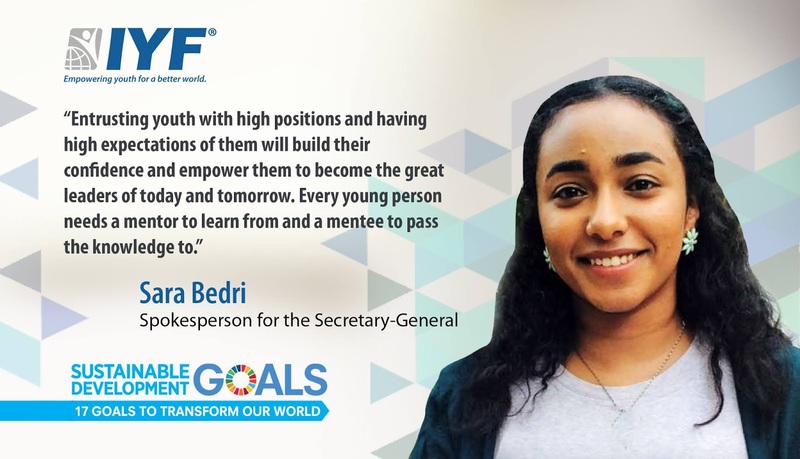 London, United Kingdom: The IYF Executive Board of the International Youth Federation announced today the appointment of Ms. Sara Bedri of the Republic of Sudan, as Spokesperson for the Secretary-General. Ms. Bedri brings to this position more a wide range of experience in the field of advocacy, communications, and media. She is an award-winning writer and spoken word artist, she strongly believes in the power of words and the role of media in shaping our world. Sara was among the first batch of Sustainable Development Goals’ Advocates organized by the United Nations Development Programme in her country, which has allowed her to work with youth to raise awareness on the SDGs. Sara holds a Bachelor’s Degree in Telecommunication Engineering, but despite her technological background, she is more inclined towards humanitarian studies and dreams of solving humanitarian issues and conflicts using technology and media. Sara has worked in various media platforms in her country with the aim of reflecting the hidden positive side of her country to the world. Ms. Bedri is a member of many local, regional and international youth networks and communities including YALI Alumni Network, The Middle East and North Africa Committee of the European Youth Press, and the Innovation and Entrepreneurship Community.